Joël Robuchon and renowned sake brand Dassai invite you on a voyage to the other side. To the other side of the counter, where the artistry lives. To the other side of taste, for new sensations. To the other side of the world. 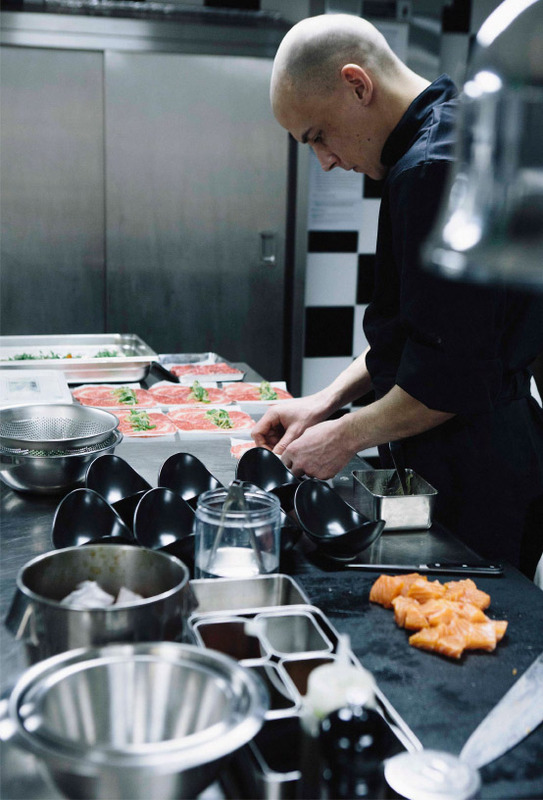 For Joël Robuchon, the notion of “otherness” is inseparable from the concept of conviviality. Here, the Other is Japan — a country Joël discovered and fell in love with 40 years ago. Close your eyes and follow him into the harmonious universe of Dassai. You won’t regret it.
" Les personnes partageant les mêmes idées finissent par se rencontrer "
Le chef Fabien François en pleine préparation. 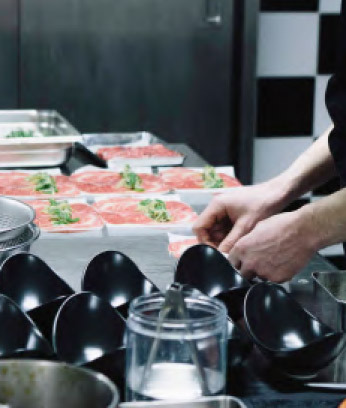 Joël Robuchon and Dassai founder Hiroshi Sakurai had been plotting to open a restaurant together ever since they were first introduced by Japanese chef Hirohisa Koyama at the opening of Atelier Étoile. They have kept the conversation going since then. 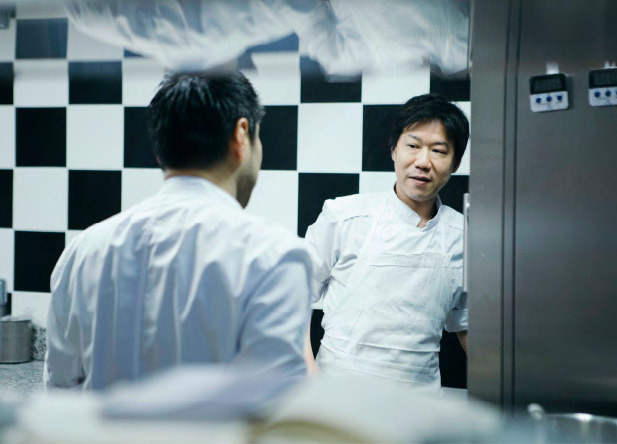 “Joël Robuchon immediately understood the importance of Dassai — he’s the ideal messenger,” says Hiroshi. Last year, they came up with a concrete plan: to open a Joël Robuchon restaurant with a mission to acquaint a French audience with the intoxicating splendor of sake.